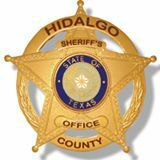 The Hidalgo County Sheriff’s Office received two federal grants this week for efforts as disparate as senior citizen fraud prevention and border security. On Wednesday, the Department of Justice announced that sheriff’s office was one of eight agencies in the country to be selected for training on how to protect seniors — aged 65 and older — from becoming victims of financial exploitation and fraud, and how to investigate these crimes when they occur. Nearly one in 10 seniors nationwide has fallen victim of a financial crime in the past year, according to the DOJ. Joel Rivera, HCSO division chief, said estimating the scope of the problem in Hidalgo County is difficult because financial crimes against seniors are underreported, and when they are reported, they are often categorized as theft or other crimes. “ Many elderly victims do not report fraud because they feel ashamed, or they fear others will think they cannot care for themselves, which may trigger placement in a nursing home or long-term care facility,” Rivera said via email. He added that seniors are often financially exploited by relatives or caregivers, and given the victims’ close ties to offenders, they may avoid reporting the crime because they don’t want the offenders punished. The sheriff’s office can select up to 100 officers in the Rio Grande Valley to receive the training, which will be conducted by the DOJ in conjunction with the National White Collar Crime Center, and Rivera said the department plans to extend this invitation to its “local, state and federal partners,” in addition to the Hidalgo County District Attorney’s Office and the U.S. Attorney’s Office for the Southern District of Texas. Training will consist of a daylong session, held sometime within the next year. Another federal funding opportunity was announced Friday, when U.S. Rep. Henry Cuellar, D-Laredo, confirmed that the sheriff’s office received $3.5 million through Operation Stonegarden, a federal initiative that reimburses local law enforcement for equipment and overtime pay costs associated with joint operations and missions with U.S. Customs and Border Protection. Hidalgo County received the most funds — which will be funneled through the sheriff’s office — of the 24 Texas counties named in the annual grant program, which the U.S. Department of Homeland Security launched in 2009. The other Valley counties included in the grant — Starr, Cameron and Willacy — received $1.56 million, $1 million and $140,000 respectively. Overall, southern border states received the most funding in the nation. Texas topped the list with $55 million, followed by Arizona with $11.8 million, California with $9.2 million and New Mexico with $2.72 million.